This review provides a summary of non-pharmacological treatments for children and youth diagnosed with ADHD and related behavioral problems, and the scientific evidence regarding their effectiveness. Top interventions (including environmental modification, intensive behavioral camps, parent training and collaborative problem solving). Add-on interventions (psychoeducation and cognitive behavioral therapy). Interventions with less specific evidence (including positive behavioral intervention, meditation, family therapy, exercise, dietary intervention, micronutrients). 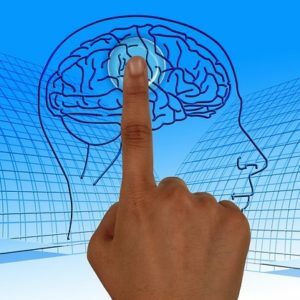 Interventions with minimal or no evidence (including nurtured heart approach, computerized cognitive training, vitamin D, acetyl-l-carnitine, pycnogenol, homeopathy, acupuncture, melatonin, St. John’s wort, iron/zinc/magnesium). There is no biological test for ADHD. The diagnosis is made if a child is seen as having problems with being “inattentive,” “hyperactive,” or “impulsive,” and such behaviors “interfere” with “functioning and development.” As there is a subjective element to making the diagnosis, diagnostic standards vary greatly in different settings, and in different countries. While ADHD medications may be effective in ameliorating the symptoms of the disorder over the short term, studies have found that they do not provide a benefit on any functional domain, including academic performance, over the long term, while exposing the child or adolescent to a number of possible adverse effects. Most clinical care guidelines for ADHD urge that decision-making include the health care professional, the parents/carers, and the child with ADHD. Health care professionals are reminded to provide full “informed consent” to the parents and child, which requires discussing the evidence of the risks and benefits of different approaches, including their long-term effects. Many clinical care guidelines recommend combining behavioral therapies with stimulant medication. However, in making those recommendations, most of the guidelines focus on studies showing that drugs may ameliorate ADHD symptoms over the short-term, without assessing their long-term effects. The reviews here focus on scientific studies assessing the efficacy of behavioral therapies alone, and not in combination with ADHD medications. These interventions are the most commonly used, with the largest research base demonstrating their effectiveness at helping children with ADHD and their families. Usually focused on the classroom and/or the home, this intervention involves making adjustments to the space and/or accommodating the child’s needs. For instance, removing distractions, changing seating arrangements, and incorporating movement breaks are common adjustments to be made. Increased exercise has been suggested to be beneficial; some studies have suggested that exposure to “green spaces,” such as taking a 20-minute nature walk, is beneficial as well. These are time-honored strategies for dealing with concerns around attention and focus. Some guidelines (e.g. NICE) urge that they be used before any other interventions are tried. However, there is little research on the intervention as a whole. Studies generally address differing individual aspects of this overall broad intervention, or focus on similar interventions such as behavioral classroom management (which uses behavioral conditioning to alter behavior in the classroom). For more detailed information about what modifications are typically used in this intervention, see the article available here. This intervention involves behavioral skills-building therapy delivered in an intensive, systematic fashion to children and adolescents; sometimes it includes their parents. The Summer Treatment Program, which involves a long, intensive summer camp peer-group component, is one primary example. After-school programs such as Challenging Horizons also fall under this label, and outpatient mental health settings are also common places for intensive behavioral therapy. In general, this approach first identifies problematic areas of functioning—often in collaboration with the child/adolescent—and then targets these areas for change, using cognitive behavioral strategies. These areas usually include academics and family functioning. The Summer Treatment Program specifically has been rated as very helpful by parents, and has been extensively used. The research on this intervention is composed of a great deal of individual case studies, with few comparisons between groups receiving control interventions. However, the research consistently demonstrates positive changes in family relationships. Parents also generally see improvements in hyperactivity measures of their children’s behavior. There appears to be minimal impact on academics, with GPA showing minimal improvement and teachers reporting minimal improvement. For more information about the Summer Treatment Program, see the book chapter available here. For the abstract of an article summarizing effectiveness of the Challenging Horizons After-School Program, click here. Triple-P, or the Positive Parenting Program, is an intervention that aims to reduce children’s behavioral problems by providing parenting skills training. Triple-P has five levels, so that parents can receive the program intensity they need. It ranges from brief online self-help, to longer, therapist-led interventions to develop parenting skills. Parents consistently respond favorably to the intervention. Parents report that it improves their parenting skills, the behavior of their children, and the emotional well-being of their children. The improvement appears to be in parents’ perception or expectations of their children’s behavior. This is because the behavior of the child—when observed by a researcher—does not appear to change significantly, and there is no significant improvement on ADHD symptoms. The parenting program known as The Incredible Years is an intervention that aims to reduce children’s behavioral problems by providing parenting skills training. It consists of 11-14 weeks of group therapy for parents, with video vignettes to introduce parenting skills topics and provide examples of healthy and unhealthy parenting styles. Parents then role-play parenting scenarios, and may rehearse with a therapist leading the session. There are also handouts and homework assignments. This intervention was piloted by Carolyn Webster-Stratton and resides at the website http://www.incredibleyears.com. It was originally known as Parents and Children Series (PACS). It has been researched in numerous countries for several decades. The New Forest Parenting Program (NFPP) is an intervention that aims to reduce ADHD symptoms in preschoolers by providing 8 sessions of in-home individual parent therapy. These sessions include information about ADHD, games parents can play with their children to improve attention and behavior, and therapist feedback after observing the game. It is a newer intervention that has been studied in the UK and the US for the past 15 years. Parents report moderate to large improvements in children’s behavior, including ADHD symptoms and conduct problems. In this regard, it may be superior to alternative parent training programs that do not directly address ADHD. However, NFPP suffers from the same limitations as other parent training research. Teacher ratings—and the clinical observations of researchers—do not show the improvements that parents report. Thus, the improvement appears to be in parents’ perception or expectations of their children’s behavior. This intervention involves teachers being trained (and sometimes having specialized aides) in order to provide behavioral conditioning responses to students with ADHD. This usually involves training teachers to provide a consistent, powerful system of rewards and punishments in order to control the behavior of children with ADHD in the classroom setting. The daily report card is a form of monitoring and goal-setting which enables tracking of progress in the classroom. In general, teachers report these interventions are found to be helpful for managing behavior in the classroom. Evidence on overall effects indicates that the program is effective for maintaining behavioral control as long as the system is maintained at its most intense level. If teachers do not continue providing extreme rewards and punishments, or if they are not consistently supported with training and additional aides, the system appears to be much less effective. This intervention was developed by Ross Greene, author of numerous books on child behavior, such as The Explosive Child, Lost at School, Lost & Found, and Raising Human Beings. It resides at the website for Lives in the Balance, Greene’s non-profit organization. The model, according to Greene is now known as “Collaborative and Proactive Solutions” after a long legal battle over intellectual property, ending with Massachusetts General Hospital putting forth its own version of the model, led by J. Stuart Ablon, which took the model’s original name of “Collaborative Problem Solving.” MGH’s version of the model resides at the website for Think:Kids. One well-conducted study compared CPS to parent behavioral training, and found that outcomes were generally comparable—parents reported improvements in oppositional behaviors as well as in parent-child conflict. This was true in both the CPS group and in the parent behavioral training group. These interventions are added to ADHD-focused treatment but still focus on improving ADHD symptoms. Psychoeducation means teaching parents (and sometimes teachers) about current understandings of the ADHD diagnosis and what it means for them and their children, in order to reduce stigma associated with the diagnosis and promote adherence to other treatments, usually medication. As such, it is considered an add-on treatment and its main goal is to support medication use. Psychoeducation can be carried out in a structured (manualized and led by a professional) or unstructured (support group) manner. Structured support groups are led by a trained professional who provides information about the diagnosis as well as some parenting skills training. These have been demonstrated to increase parents’ knowledge about current medical theory about ADHD. Few studies have assessed whether psychoeducation actually impacts ADHD behaviors or other problems of childhood, and none as a stand-alone intervention. When compared to unstructured support groups as an add-on treatment to medication and behavioral intervention, structured groups have been shown in at least one study to improve inattention and social functioning. For a detailed overview, see the article available here. For the abstract of an article comparing structured and unstructured groups, click here. In the context of ADHD and childhood behavioral problems, CBT involves directly teaching children or adolescents skills for managing their behaviors (which makes it different from other interventions that focus on teaching parenting skills). They are taught how to deal with distractibility and procrastination, and how to alter thought processes that may interfere with effective goal-pursuit. In the literature it is usually framed as a treatment for residual ADHD symptoms (what is left over after children are using another treatment, usually medication). As such, it is considered an add-on treatment and has been tested only in children who are also on medication. In preliminary studies (small initial trials), CBT as an add-on to medication has been shown to reduce ADHD symptoms and behaviors by both parent report and adolescent report. Overall improvement such as quality of life is minimal, however. For information about a study of this intervention, click here. These interventions are added to ADHD-focused treatment in order to improve specific skills such as social skills, time management, and organizational skills. This type of intervention involves directly teaching children social skills, problem solving, and sometimes management of anger. It usually involves a group of children who can practice together. One example program is The Incredible Years: Dinosaur Program (an offshoot of The Incredible Years parenting program). It is usually considered an add-on program after trials of medication and/or parent training. Some research has found that social skills training, when added to other interventions, can reduce behavioral problems, conduct disorder, and oppositional defiant disorder, both at home and at school, as well as result in children having less aggressive interactions with peers. It does not appear to have an effect on ADHD symptoms. However, a large review of the evidence found no evidence that social skills interventions worked to reduce ADHD symptoms, improve behavior in the classroom, or improve social skills. A type of computer intervention called a “serious game” (in this case, titled “Plan-It Commander”) has been theorized to be a method of improving time management skills. It is considered an add-on treatment for just these particular skills. In general, children are supposed to play the game for an hour, three times a week. The outcomes were tested at 10 weeks. However, there is very little research on this intervention. The studies demonstrated improvements in time management, responsibility, and working memory, at least in the short term, according to parents. It appears to be particularly useful for girls, and for boys with low hyperactivity but severe conduct problems. For more information about this intervention, see the articles available here and here. This type of intervention involves either directly teaching children (or teaching parents and teachers how to teach children), skills for organization, planning, and time management. It is usually considered an add-on program for children with ADHD who also have problems with organizational skills. There is limited research on this intervention, but the studies that exist appear to show improvements in organization, planning, time management, and possibly family functioning. Academic performance may also be improved, at least in the short term, but only when children are directly taught the skills. Inattention may be improved moderately as well, although this evidence is less consistent. 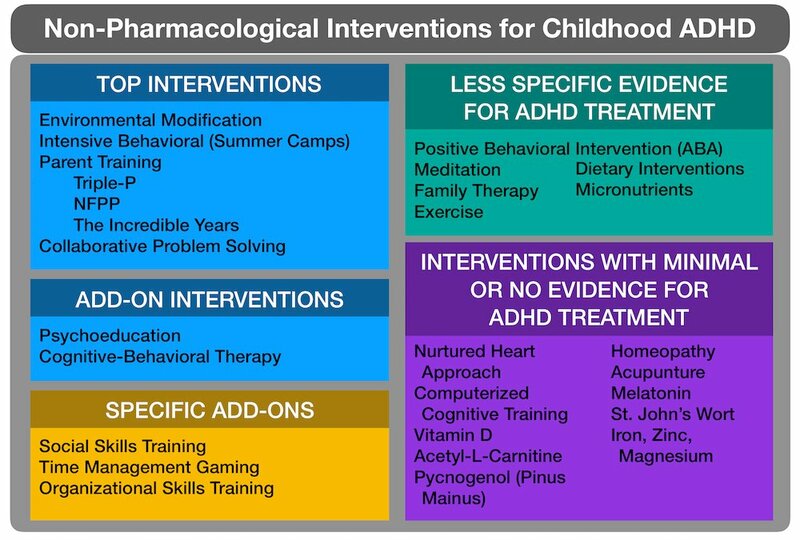 These interventions are either newer, or have simply not been systematically studied for ADHD or children’s behavioral problems specifically. Teacher and parent reports indicate that this intervention is successful at reducing problematic behaviors, especially in people with autism and developmental disabilities. However, very little research has been conducted on children with ADHD. Studies on this intervention are widespread but very few use groups or a randomized design (most follow a single subject through an intervention). Most of the studies on this intervention have been conducted on children with autism, developmental disabilities, and intellectual disability. However, some research has been done on children with ADHD or with no diagnosed disorder in very young children. The term “micronutrients” describes combining a number of vitamins and minerals into a supplement, such as a twice-a-day capsule. The two most prominent researchers in this area, Julia Rucklidge and Bonnie Kaplan, have written about their research on Mad in America several times. The two most studied formulations of micronutrients are branded EMPowerplus and Daily Essential Nutrients (DEN). In several clinical trials, researchers have found that micronutrients may improve inattentiveness, but hyperactivity and impulsivity do not appear improved. However, micronutrients also appeared to increase overall emotional well-being and reduce aggressive acting-out. As there are only a limited number of well-done trials of this intervention, more research needs to be conducted. Researchers don’t know exactly what parts of the supplement are useful, and what aren’t. Because supplements are not evaluated by the FDA in the same way as pharmaceuticals, there is no verification that the ingredients used in supplements match the label. However, with few side effects, many anecdotal reports of improvement, and new studies demonstrating improvement in clinical trials, micronutrients are a promising intervention. For more information about this intervention, see the Mad in America blog posts by Julia Rucklidge and Bonnie Kaplan here and here. For more information about the research on this intervention, see the summaries of studies available here and here. Programs focused on mantra meditation, mindfulness, and the meditative aspects of yoga and Tai Chi have shown preliminary evidence of being helpful for children with ADHD. Although these approaches have not been studied in a thorough, scientific manner (most studies are small, unblinded, and lack control groups), early studies are generally associated with positive results. This intervention has been studied as add-on treatments for children who are also on medication. 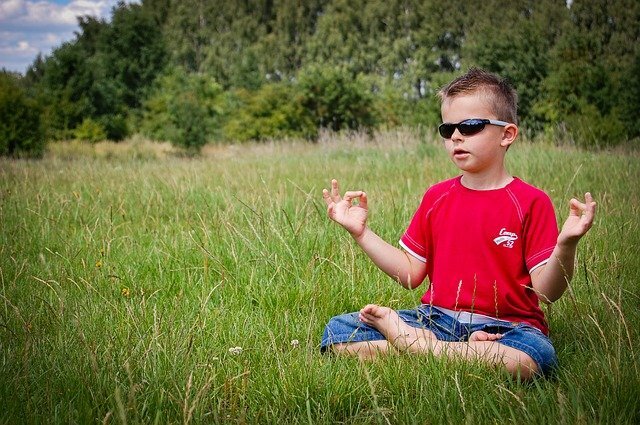 Children who have taken several weeks of yoga, Tai Chi, or meditation/mindfulness, both in inpatient units and in the community, report improvements in well-being, and parents report improvements in ADHD symptoms and child behavior. Teachers have reported that children are more able to stay on task in the classroom. Breathing and relaxation techniques may help with restlessness and sleep problems. For more information about the research on meditation for ADHD, see the articles available here and here. Family therapy is an umbrella term that encompasses a variety of specific interventions, including others reviewed in more detail in other sections. Here we address multicomponent therapy, which either includes both parents and children at once or separately. Two interventions that fall under this label are Brief Strategic Family Therapy (BSFT) and Multisystemic Therapy (MST). These interventions are generally intensive, home-based family therapies focused on both adolescents and parents. They have been studied more commonly for behavior problems, drug abuse, delinquency, and disruptive behavior disorder (DBD), with almost no research focused on ADHD. However, as there is some overlap, these outcomes are reported on here. Studies have generally reported that MST and BSFT result in reductions in disruptive behaviors (such as bullying and aggressive acting-out) and improved family relationships, usually as reported by parents. For more information about the research on family therapy for behavior change, see the example article available here and the review articles available here, here, and here. A variety of dietary interventions have been studied for improving ADHD symptoms in children. Free fatty acid supplementation (variously referred to as Polyunsaturated Fatty Acids, PUFA, and Omega-3 and Omega-6), is one approach that has exhibited mixed evidence of improvements to ADHD symptoms. That is, some studies have found a slight effect on ADHD symptoms, while the majority of studies did not find any improvement. Removing artificial food dyes has also shown some mixed evidence of improving ADHD symptoms, but many studies do not find any improvement. For both PUFA supplementation and artificial food dye elimination, parents report more improvement than teachers or clinical observers. Removing allergenic foods from the diet appeared to result in large improvements for some children. It has more evidence for efficacy. However, this will only work for the minority of children for whom the ADHD symptoms are due to food allergies. Evidence for herbal preparation, gingko biloba, and Memomet syrup was minimal, and most studies found no improvement on ADHD symptoms. For detailed research regarding restriction/elimination diets (allergen and artificial food dyes) see the review article available here. For more research on dietary interventions for ADHD, including PUFA supplementation, see the review article available here. Short-term aerobic exercise and yoga-based exercise programs have shown promise for being helpful for children with ADHD. In most cases, these were tested as add-on treatments for children already taking medication for ADHD. Both aerobic exercise and yoga-based exercise programs have been found to improve attention, hyperactivity, impulsivity, and social functioning in children with ADHD. 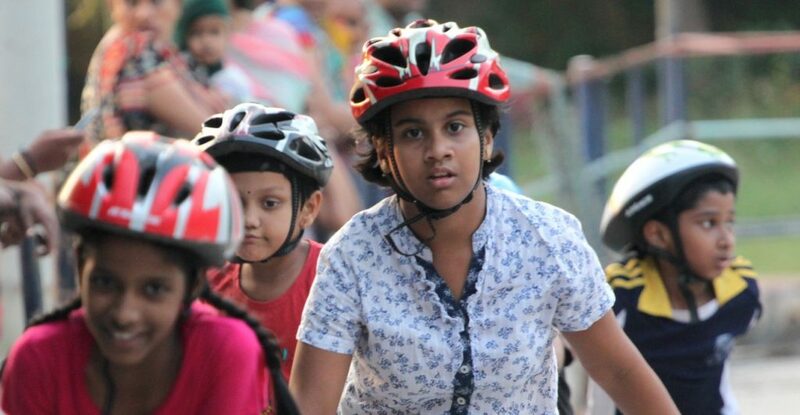 The research on exercise for children with ADHD has been conducted in multiple small studies, each investigating different aspects of exercise. Most of the studies were conducted on boys and most occurred with short-term follow-up (five to 10 weeks) so we have little long-term data. Nonetheless, exercise has known health benefits and few downsides. For more information about the research on exercise for ADHD, see the articles available here and here. These interventions have either demonstrated no evidence of helping children with ADHD, or are so new as to have almost no studies conducted on them at all. This branded intervention held by the Children’s Success Foundation relies on the trademarked “3 Stands” of not reinforcing negative behavior, reinforcing positive behavior, and being clear about rules and boundaries. According to their website, this approach “helps children (and adults) build their Inner Wealth (registered trademark). According to the anecdotes on the website, the NHA changes children’s entire personalities within 48 hours. There has been no published research on this intervention, although the website refers to “anecdotal” data. Published studies referencing the NHA discuss its theoretical basis. The general conclusion is that its general theoretical basis is reasonable although some assumptions of NHA are not supported by evidence. For the corporate website, click here. For the official abstract of a study on the theoretical basis of NHA, click here. 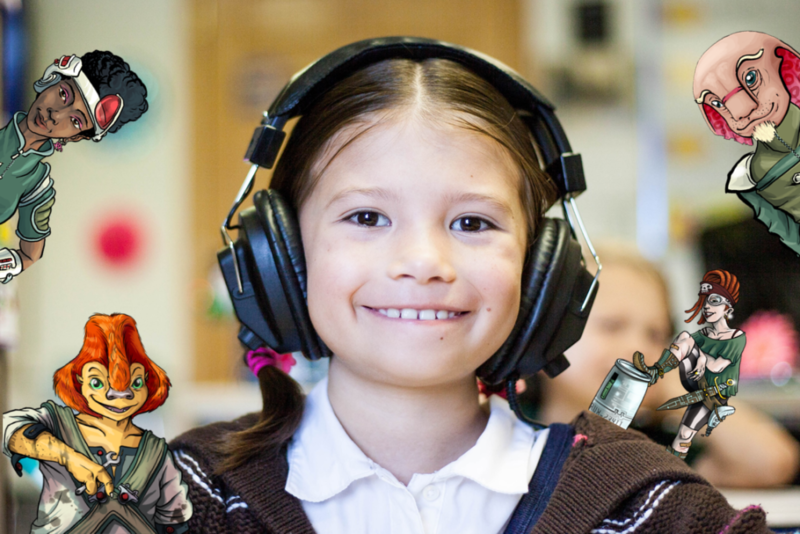 This intervention consists of computerized interventions, often purveyed as “games,” which target working memory. The primary brand is known as Cogmed. Evidence to support this intervention for ADHD is minimal. Most studies found no improvement on academics or ADHD symptoms. Studies were not considered well-conducted when reviewed. There is some evidence that this intervention could improve working memory in the very short term, but it does not appear to improve other types of cognitive processing, and long-term gains are dubious. For more information about the research on Cogmed for ADHD, see the article available here. This intervention involves connecting children to a monitor that depicts their “brain waves.” They are then taught to modify their attention/focus, which is represented in feedback form by changes in brain wave depictions. This is usually considered an add-on to treatment-as-usual (usually medication). There is little evidence to suggest this intervention. Results from studies have been inconsistent, with several studies finding no effect on behavior and ADHD symptoms. The inconsistent results, all from short-term studies, and the dearth of published studies, mean that this intervention has little support. For more information about this intervention, see the example article here. Vitamin D is commonly produced by the body after exposure to sunlight. Evidence of benefit for medicinal vitamin D is equivocal, with some studies indicating benefit for some conditions, but little overall effect. There are very few studies on vitamin D for ADHD treatment, and it is considered an add-on to treatment-as-usual (usually medication). Thus, the evidence is limited. Vitamin D added on to methylphenidate treatment was found in one study to improve evening behavior according to parent report. However, it did not result in improvements on ADHD symptom scales. Melatonin is a hormone implicated in the sleep-wake cycle. Evidence for medicinal melatonin is equivocal, with some studies finding a shorter time-to-sleep but little overall improvement. There are very few studies on the use of melatonin for ADHD treatment, and the evidence is limited. Melatonin added on to methylphenidate treatment was found in one study to improve sleep. However, it did not affect ADHD symptoms at all. Studies have found this substance to be ineffective for treating ADHD. These minerals may be efficacious for treating ADHD if, and only if, the disorder is linked to actual deficiencies in these minerals for the child. A review suggests that this may account for the limited findings and small effects of these treatments. One limited study found this substance to be ineffective for treating ADHD, and reviewers note its sun-sensitivity side effects and its dangerous interaction effects with many other pharmaceuticals. Case reports have suggested that this bark extract may reduce ADHD symptoms. However, the very limited scientific research that has been conducted found limited or no effect. Acupuncture, based on traditional Chinese medicine, involves tiny needles being inserted into the body at specific spots which are traditionally considered focal points of life force energy (qi). It is an individualized practice that involves non-standardized approaches. There are very few studies on acupuncture for children with ADHD, and the evidence is limited. 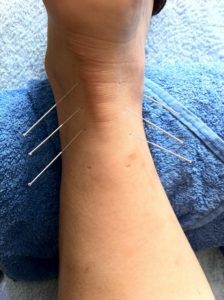 One study suggested that acupuncture improved cognitive functioning, but only in children who were not taking medication. For ADHD symptoms, it appeared to have no effect. A review in 2011 found that there was no evidence whatsoever regarding acupuncture for ADHD. Homeopathy involves the individualized creation of a preparation that contains an infinitesimal amount of a substance (usually diluted to the point where no molecules of the substance actually remain) suspended in water. It is based on the alchemical notions that the smaller the active ingredient, the larger its effect, and that “like cures like” (e.g. the substance that would cause you harm will cure that same harm). There are very few studies on the homeopathy for ADHD in children, and the evidence is limited. Several articles have supported homeopathy as able to very slightly improve children’s ADHD symptoms; however, they are not considered well-conducted scientific studies, and there is no way to standardize homeopathic approaches. As such, a review of the evidence found that homeopathy was unsupported for this purpose. According to the ADDitute website, popular homeopathic remedies for ADHD include coffea cruda, Synaptol, verta alb, stramonium, and hyoscyamus. There is little to no evidence for any of these being effective for the treatment of ADHD. For a summary of scientific research on stimulant drugs for ADHD and other behavioral disorders, visit this page.